Germans are predictable, especially when it comes to their cars. First of all, they love their vehicles and would rather get rid of their fridge, their pants and their pillow before even considering selling their box on four wheels. The Federal Motor Transport Authority in Flensburg released the car sales numbers for 2018, according to which 3.44 million new vehicles were registered, a bit less than in 2017. About two thirds of those cars belong to companies, while one third was registered by individuals for private purposes. There are winners and losers among automakers and their car brands. Smart managed to increase its sales in Germany substantially, by 11.9 percent. Mini, Ford, Volkswagen and BMW sold more cars as well, in spite of the Diesel scandal. In the cases of Audi and Opel, things turned south last year, at least in Germany. With 18.7 percent, Volkswagen continues to have the largest share in the country, by far. What imported cars are concerned, the sales for Jeep, Mitsubishi, Dacia, Seat and Volvo increased. Tesla’s sales in Germany crashed by 42.8 percent, Nissan lost 26 percent and Land Rover 23.3 percent, while Skoda, Renault and Seat did rather well. Most new cars sold in the country in 2018, 62.4 percent of them, run on gasoline. The share of Diesel-powered cars decreased by 6.5 to 32.3 percent. Far more vehicles with natural gas propulsion were sold last year. Their share skyrocketed by 190 percent, meaning it almost tripled. The share of new electric vehicles sold was only 1 percent. The Germans prefer grey, black and white cars. Three fourths of all new cars registered have one of those colors. Out of all cars registered in 2018, the Ford Focus hit the tenth place with 49,297 items. The ninth place was occupied by Mini, the eighth one by the Mercedes E-Class. They sold 53,444 elegant vehicles of this kind. Audi’s A4 model hit the seventh place. The Skoda Octavia is still very popular among Germans. It got the sixth place on the sales table, while the small Mercedes C-Class reached the fifth place and Volkswagen’s larger family sedan, the Passat, the fourth one. Volkswagen’s model Polo, the smaller brother of the Golf, was registered 61,378 times in 2018. It is on the third place. VW did even better with its minivan Tiguan, which sold 71,437 times. That is good enough for the second place. In 1973, Volkswagen had some issues to resolve. One of their problems was the fact that they needed a new bestseller. The Beetle was technically obsolete. It was too loud, too small, too slow and too thirsty. It was over. They needed two things: A large family sedan and a Beetle successor. And they needed those fast. For a while, VW messed around with an ugly sedan called K-70 and other models such as the 411L and the 412LE. None of them was very successful. They were bathtubs on wheels. But in 1973, the first Passat was sold. This model would be a huge success story, and it still is today. In 1974, another new model followed, which looked like a smaller version of the Passat’s hatchback version. They called it Golf. 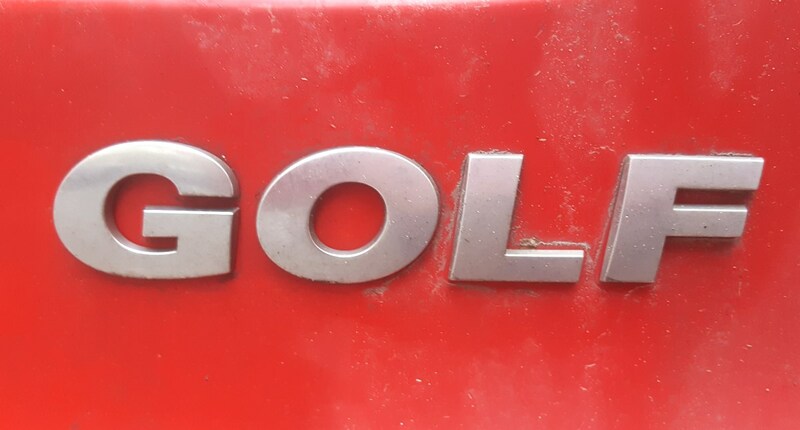 After Volkswagen noticed they could sell Golfs like hot sausages, in huge numbers, they took it overseas too. In the late 1970-s, it was very fashionable to drive a VW Caribe in Mexico. It was actually the Golf. In the U.S. they called it VW Rabbit for a while. Yes, the Golf has basically been Germany’s bestselling car since 1975. In 2002, it even beat the Beetle’s all-time number, with 21 and a half million items built. By 2014, VW had produced 30 million Golfs. The sky is the limit. The seventh generation of this most popular model is being sold today. 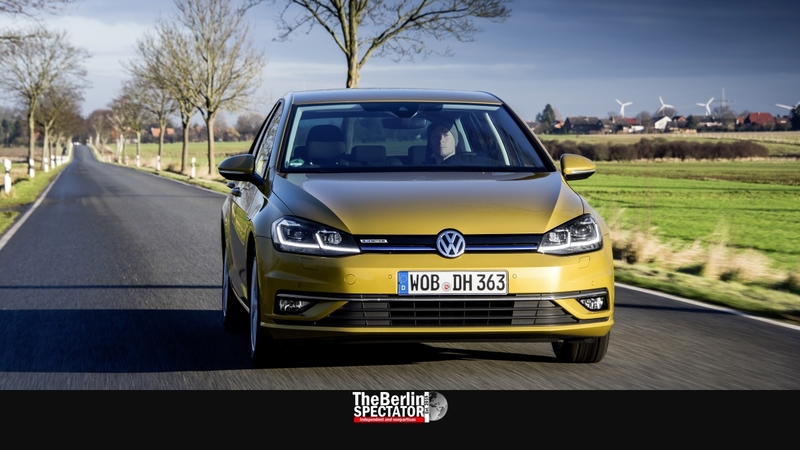 In 2018, a total of 211,512 new Golfs were registered in Germany alone. In June of 2019, the eighth generation will be introduced. It will probably help Volkswagen to increase sales yet again. Germany is Golf country. The Germans just love Golfs of all kinds, no matter whether it is the regular one, the Diesel version, the GTI, GTD, the convertible or the RS with 6 cylinders and a lot of power. Anything goes. As long as it is a Golf.